In case you hadn't experienced the adorable cuteness that is Sackboy yet, next month might be a good time. One of the finest co-op titles available for the PS3 last year is getting a feature packed rerelease. LittleBigPlanet: Game of the Year Edition is coming on September 8. Why pick the Game of the Year Edition up, you ask? It's packed to the, er... top of the sack with all sorts of content. 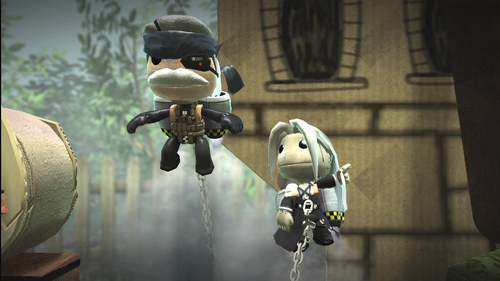 Several previous DLC offerings are bundled in, including the Metal Gear Solid pack (with Paintinator gun and costumes), and the History, Animals, and Monsters packs. According to the Playstation Blog, that's about $30 of content right there. Best of all, 18 custom levels are included, developed by users handed picked by MediaMolecule, and even interviews with these creators! Finally, the sack fills to overflowing with a voucher for the ModRacers Online Beta. If you've not tried LittleBigPlanet out yet, this should be enough to get you to try it out.